Natural Root Wood Figure of Shou Lao. 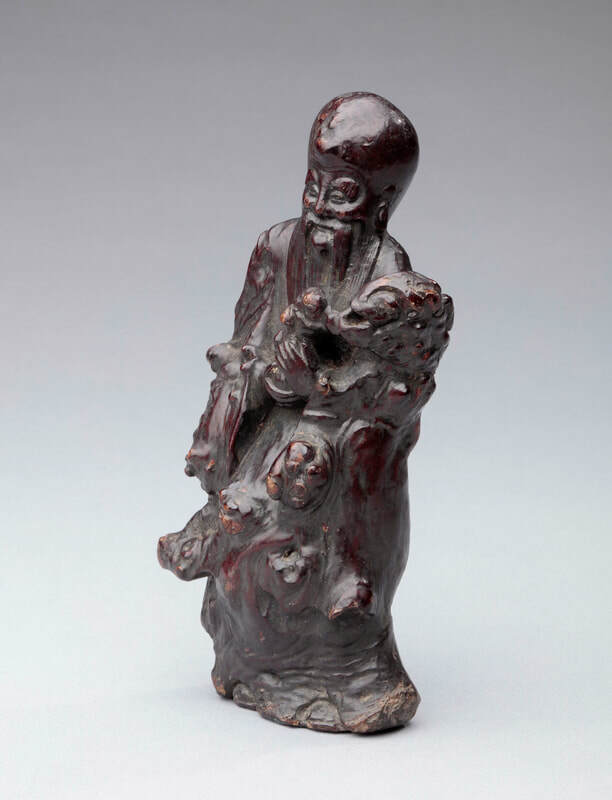 Qing dynasty, probably early 19th century. 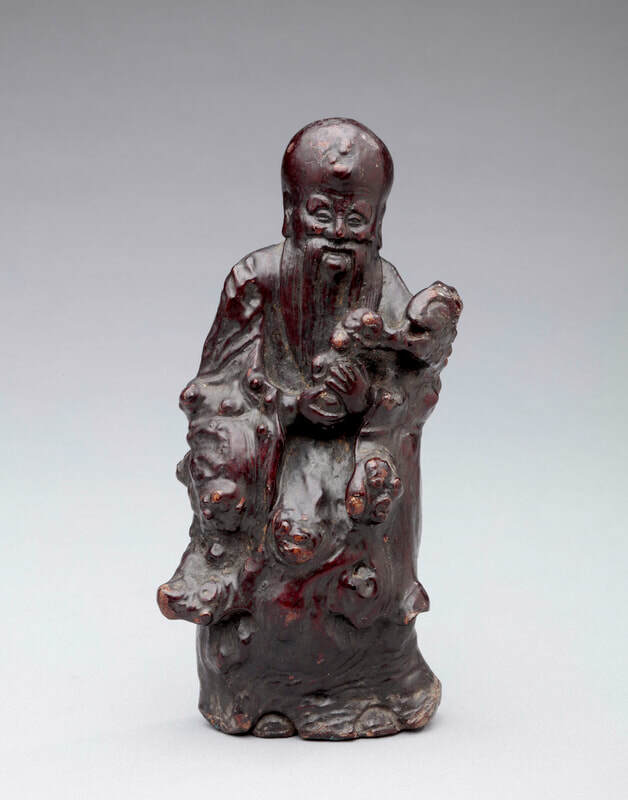 A small sculpture of Shou Lao, fashioned from a natural root, carved with only the head, hands and beard, and possibly the feet, the rest of the sculpture left in its natural state. The cluster of lingzhifungus in his left hand appears to be naturally formed and chosen by the carver for that reason. Covered in a layer of clear lacquer. Qing dynasty, probably early 19th century. Robert Piccus, ed., Wood from the Scholar’s Table: Chinese Hardwood Carvings and Scholar’s Articles(Hong Kong: Altfield Gallery, 1984), no. 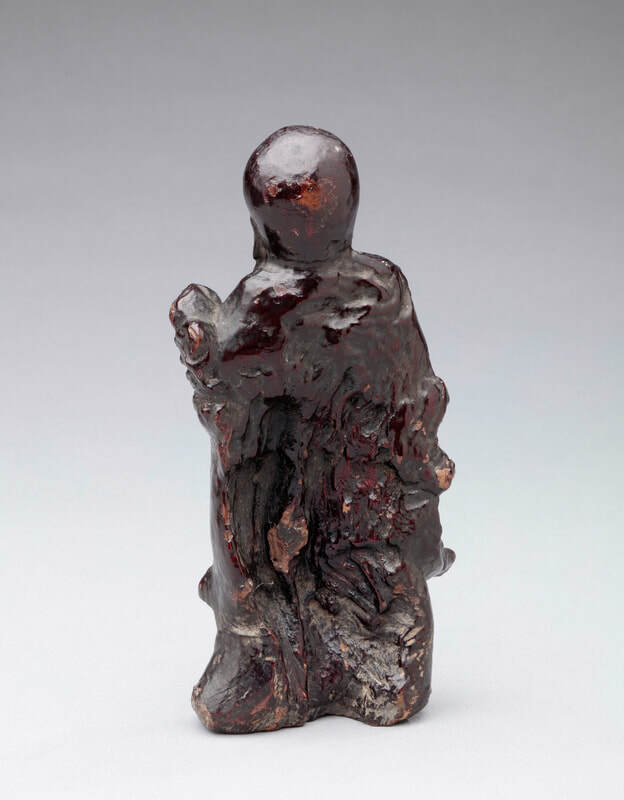 10, in which the description matches the sculpture here but the dimensions and image do not.